Charles Darwin’s discoveries in Galapagos gave him some very important scientific ideas, however, there was a lot more to Darwin than the stern-looking man in famous paintings. In this section, we will explore Darwin’s life to see how his curiosity lead him on an incredible adventure. It was clear that Darwin was interested in nature, science and collecting from a very early age, however, Darwin could also be a bit of a handful for his father and sisters, and he really didn’t like school very much! Read on to find out more about how Darwin’s youth shaped his future adventures. Charles Robert Darwin was born at The Mount in Shrewsbury, England on 12 February 1809. Darwin’s dad, Robert Darwin (a doctor) told him that people with great minds had memories from when they were babies, therefore Darwin thought this must mean he was not very clever as his earliest memory was a visit to the beach when he was four years old. 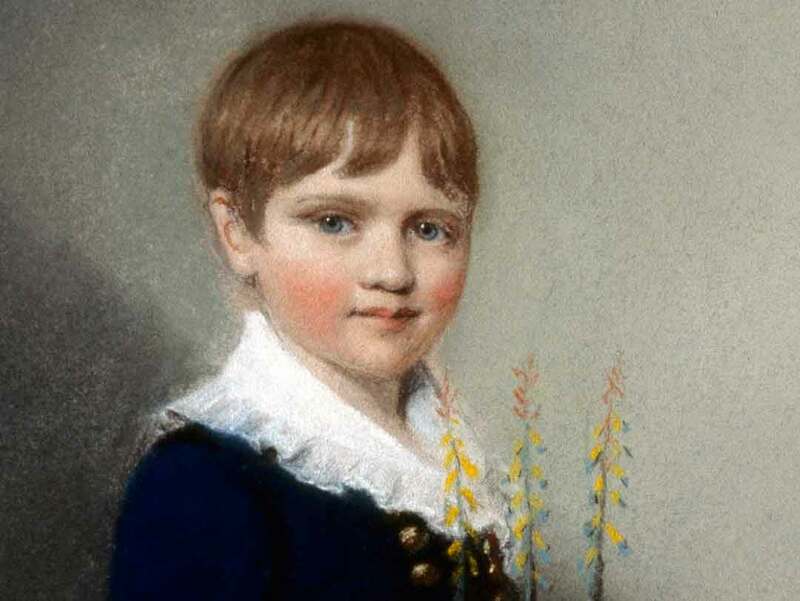 Darwin’s mother died when he was only eight years old, and his older sisters helped to raise him until he went to boarding school when he was nine – when he was older, Darwin wrote that he had been quite naughty as a young boy, and was definitely not considered to be as smart as his sister, Caroline! Darwin did not like school very much and found it boring, but he really loved nature and being outside – he enjoyed collecting plants and dead animals, and his family noticed that he liked going for walks on his own to find things that he could add to his collection. Darwin’s dad could see that he was not doing well at school and when he was old enough he sent him to the University of Edinburgh to study medicine. Unfortunately Darwin didn’t try very hard at university because he thought his dad would just pay for him to have a good life! He found the lectures boring and said that the subject of medicine disgusted him. Luckily for Darwin, he made some friends who were interested in nature like he was, including a Professor called Robert Grant. By this time, scientists had begun to discuss the idea of evolution and Grant talked about these ideas with Darwin. 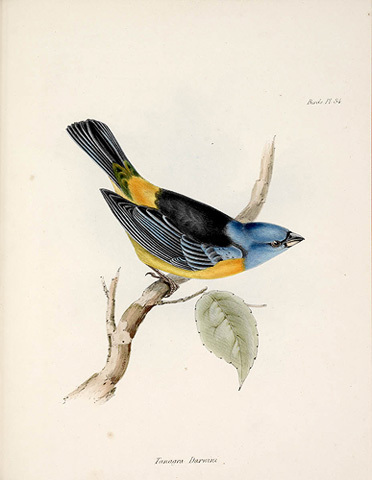 Darwin’s own grandfather, Erasmus Darwin, had written a book called Zoönomia in 1794, but Darwin said that the problem was that nobody had any evidence to back up their ideas. When Darwin’s dad found out that his son wasn’t enjoying University any more than he had enjoyed school, he asked him to study to become a clergyman. Darwin asked for some time to think about this because really he would have preferred to not work at all, however, after some time to think, he decided he would do as his dad asked and would go to the University of Cambridge to become a clergyman. It might not be much of a surprise that Darwin did not like studying at Cambridge either! Instead of studying he made friends with people who loved going shooting, and they would spend a lot of time at parties. However, while he was at Cambridge, Darwin met a Professor called John Henslow who was an expert on botany, and Darwin really like his lectures. The pair became friends, and Henslow became a mentor to Darwin, taking him on trips to see rare plants and animals. After leaving Cambridge, Darwin went on a short geological tour in North Wales, and when he got back he received a letter from Henslow telling him that a captain called Robert Fitzroy was looking for a man to go on a voyage with him, to keep him company and as an unpaid naturalist for the journey. Unfortunately Darwin’s dad did not want him to go on the voyage and told him that he would only consider it if Darwin could find one other man who thought it was a good idea for him to go. Luckily Darwin’s uncle, Josiah Wedgwood II, convinced Darwin’s dad to let him go on the voyage aboard HMS Beagle. I heard that I had run a very narrow risk of being rejected [by Fitzroy], on account of the shape of my nose! … He doubted whether anyone with my nose could possess sufficient energy and determination for the voyage. But I think he was afterwards well-satisfied that my nose had spoken falsely.